Who doesn't love a good home invasion movie? They aren't easy to pull off, but when they're great they are REALLY great. High Tension, You're Next, Funny Games, When A Stranger Calls...these are some great flicks. Another underrated one? David Fincher's Panic Room, even though it was kinda polarizing when it came out in 2002. Well now we're getting what looks like a twist on the same formula with Breaking In, only this time the angry mother is Gabrielle Union not Jodie Foster, and she's trying to break into the house not out of it. Can't say the title is misleading, at least. Directed by formerly red-hot James McTeigue (V for Vendetta), the film stars Union as a mother who must bust into her impenetrable luxury home to rescue her kids who have been taken hostage. Frankly, I'm in just to watch Union unleash some maternal fury on a bunch of bad guys. 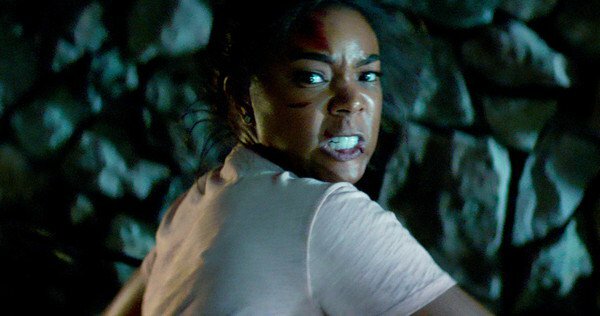 Breaking In opens on May 11th.